Path to Sustainability is Raising Livestock – When it comes to living a more sustainable lifestyle, raising our own food plays a key role. Dependence on grocery stores just won’t do! We’ve been disappointed in the quality, freshness, and availability of many commercial food products anyway. 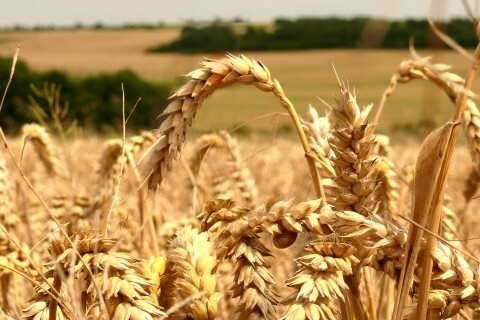 Even though we are big supporters of other local producers and farmers, we don’t want to totally rely on them, either. Besides, we happen to enjoy gardening and raising livestock. Both add a lot to our lives and contribute to our physical and mental health! So as our family moves towards more sustainability, we’ve implemented some food production projects and have plans for others. Here’s an idea of what’s happening on our farm and in our plans. In the past few years, we’ve bought feeder pigs and calves from local breeders. We’ve ordered several batches of chicks from hatcheries and bought a few more from our feed store. This works as long as transportation and supply are not an issue. But to us, it’s not totally sustainable. We’ve heard talk of potential changes in interstate shipping of live animals. What if hatcheries were not able to ship baby chicks? For the past two years, there’s actually been a shortage of weaner pigs even in our rural area. What if we couldn’t find any to buy? Livestock sustainability from year to year depends on access to breeding stock and feed. We already keep roosters; we have broody hens and electric incubators. We’ve bred, hatched, and raised our own baby chicks and have been evaluating the best breeds for long term sustainability. So we could become independent when it comes to chickens for both meat and eggs. But we also like to eat beef and pork. For now, we could get calves from a neighbor and walk them back to our farm. If need be, we could buy or barter for beef right down the road. But there is no nearby source for piglets…should we get some breeding stock ourselves? It’s easy to keep breeding stock of poultry and rabbits, but bulls and boars on a farm present more management challenges. We might only need females if there’s a stud in the neighborhood and we can arrange visits. Without grain and other feed rations, many of us could raise our livestock on forage for part of the year. But what about the small homestead with little of nutritional value to be found? And how about the dry brown months some climates present? Stockpiling hay, grains, and garden products during the growing season is one solution. Raising redworms, mealworms, or fish for feed is another option. Kitchen scraps and even “people food” prepared especially for stock can be helpful. We like to raise our livestock on forage and give supplemental grain rations to our poultry and feeder pigs. That gives us a few things to consider. How many animals can our pasture support? Which animals could forage in the forest? Where can we get grain and protein sources locally? Which ones can we grow? Do we need harvesting equipment, or is a neighbor available to hire for harvest? We have an electric feed grinder. Do we have generator or solar power to operate it if the grid is down? Do we have a hand-operated mill or another way to break down the grains and legumes? We’ve gotten a start on feed sustainability by sourcing local and regional feed ingredients for our homemade chicken and pig feed and learning how to proportion, mix, and grind. But we’re always on the lookout for more sources! Harvesting eggs is as simple as collecting eggs daily from nest boxes and taking a look around for hidden nests. Processing livestock for meat is another story–a bit more complicated, time consuming, and messy. Do we know how to process all the livestock we raise? Do we have the right equipment? Our family has butchered small numbers of chickens and turkeys by hand. We use a local mobile processing unit for larger batches, and a few local poultry producers will process our birds for a fee. But if outside facilities were not available, we are prepared to do it by hand. Here are some tips on poultry processing. We currently have our large animals slaughtered and processed by professionals, but hunters in our family and neighborhood know how to butcher, cut, and wrap large animals by hand. We need to evaluate our equipment and make sure we have everything we need. Equipment for livestock processing includes electric and non-electric heating sources (propane stoves, campfires), pots, good quality knives, vacuum sealer, and other tools. Consider how your processing will be affected if you have no access to electricity. A good stash of wrapping and storage materials includes butcher/freezer paper, plastic wrap, bags for vacuum sealer bags, and shrink bags (all BPA-free if possible). While we have previously relied on freezers for storing meat, we are moving toward a multi-process system. In the event that our freezers failed or power was not available, we don’t want all our meat to be in the freezers. In addition to freezing, most meats can be processed by dehydrating (jerky, pemmican, etc. ), and pressure canning. Water bath canning is NOT safe for meats, broth, or combinations including meat or meat broth. We encourage you to have a good understanding of food safety before processing meats for storage. Also, solar drying of meats is safe in all climates. If you are not sure about your area, consult your local cooperative extension office in the U.S. or department of agriculture in other countries. Equipment for meat storage includes electric and non-electric heating sources (propane stoves, campfires), a good pressure canner, dehydrator (small tower style or larger cabinet style), multiple water pots, good quality knives, meat grinder, meat slicer, vacuum sealer, and other tools such as canning equipment. Add a supply of canning jars/rings/lids, BPA-free plastic bags/vacuum sealer bags, and empty commercial jars (for dehydrated food only–do not use for canning). Canning jars may be reused as long as they are free of cracks, and rings may be used over and over again. Regular canning lids should NOT be reused in the canning process. BPA-free plastic Tattler lids can be used multiple times. Check all lids for sealing failures, and re-process or freeze those that don’t seal. It’s a good feeling to have our protein production underway. Next…we’ll move on to the garden and orchard for our sides and snacks! I love how you are considering all the options. I think a great way to look at it is to see what you need to be sustainable. For example, do you need pigs? do they provide a necessary meat or could it be substituted with something else? You can apply the same logic to all the meat. Eventually it may come down to what is easiest to keep alive and keep preserved. Great thought process and some of the same ideas and issues I’ve had. 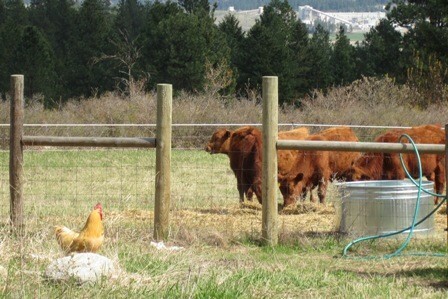 We only have 1 acre at our current homestead, so the larger livestock will have to wait until we have more land. I could live off chicken alone, but still don’t have the space to grow all of our own feed. Something we’ve been looking into and seems to take up less space is growing your own fodder indoor. The process seems easy enough, with only a shelving unit that can hold 6-9 trays you rotate. I don’t know if it would work on a large scale farm, but this is something we are certainly going to try out. Being sustainable is not easy. There are lots of considerations to make and lots of work to do. Excellent strategy though. Think I’ll pattern the methods after your ideas. Thanks for sharing. I’m really excited to have found your blog! Going to follow on as many things as I can here in a moment. If you do a lot or research on small homesteading they use goats for Milk and Meat. the reason is they need less room and eat less too.